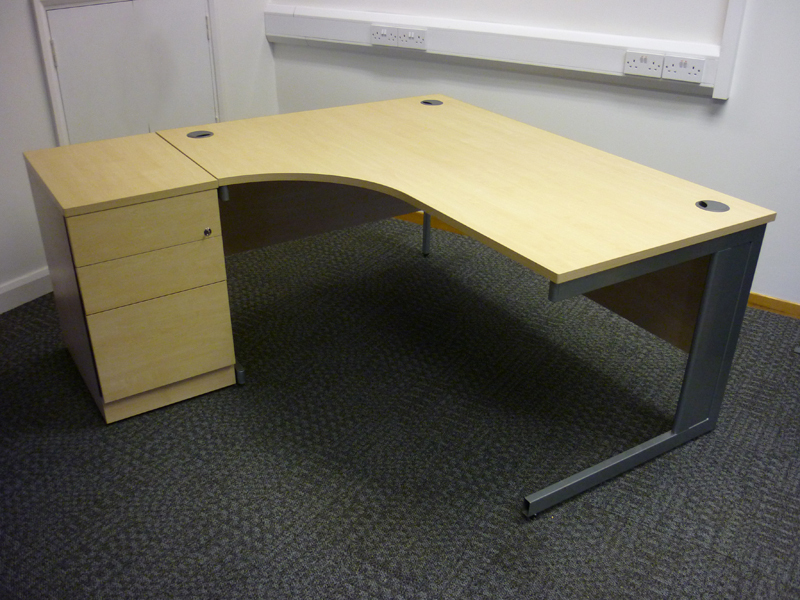 1600/800 x 1200/600mm desk only, 1600/800 x 1640/600mm with pedestal. Modesty panels for a clean look and cables not visible. 3 drawer desk high pedestal included.